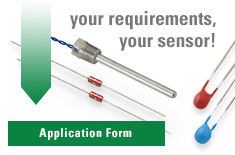 U.S. Sensor Corp.®, acquired by Littelfuse in 2017, utilizes the most advanced equipment for temperature measurement and control to manufacture and inspect our temperature sensors. In addition, we use Automated Data Collection Systems, as shown in Figure 1, to log the appropriate data. Our Automated Data Collection Systems or ADC's are computer controlled 66 channel data acquisition/switch units that are not only capable of logging 66 different measurements in user selectable intervals, but. they also manage and graph the data. This provides a "video tape recording" in real time measurement. During the measurement process, we can monitor the actual reading of the temperature sensors as we observe the data being graphed, later we can roll back time and zoom in for a closer look or zoom out to observe the overall picture of the data. The next page takes a look at some of the graphs produced by measurement of our high Precision Circulator Baths vs. the table top circulators used for less precise measurements.